Yards and lawns are much more than patches of grass and fence. They’re private oases of beauty, tranquility, and life. Landscape designers work closely with you to create a design for your space that enhances your lifestyle and adds value to your home. Hardscaping is the placement of non-plant elements consisting of structures, such as patios, walkways, retaining walls, steps, fire pits, and outdoor kitchens. Made with hard materials, hardscapes can be built out of natural stone, pavers, concrete, brick, & stone. 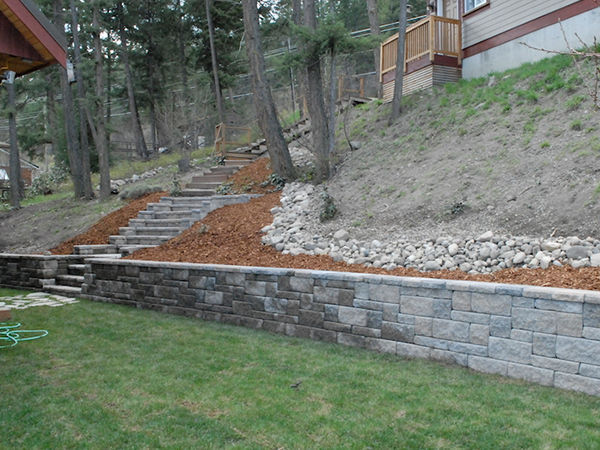 Each project can be a unique hardscape, with features that will enhance your property’s value. There are endless styles, colors, textures, banding, patterns etc that make it unquie. 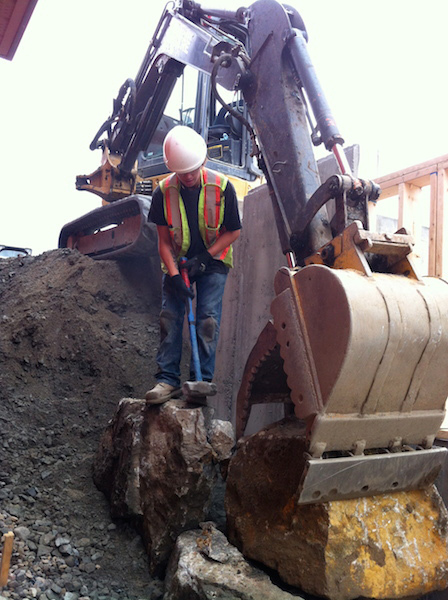 Rock Hard excavating provides excavating, bobcat and trucking service to many of Kelowna’s homebuilding and community development companies, dealing with every aspect of site preparation. That includes: the shifting, shaping and leveling of land; land clearing, demolition and removal; driveway and road preparation; excavating for utilities, septic and basements; supply and installation of material; and construction of retaining walls.